In Spring 2017, the Wisconsin Department of Tourism released results from an annual study by Tourism Economics, an Oxford Economics Company that measures tourism&apos;s impact on total business sales, employment and taxes. Tourism is a billion-dollar industry for Dane County. The economic benefit that visitors bring to our area translates into a healthy economy that affects resident income, taxes, job creation and continued enhancement of the quality of life we all enjoy. 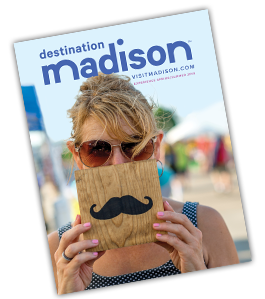 The Dane County visitor economy continued to expand in 2016, growing 7%. In 2016, visitor spending generated more than $2 billion in total business sales as tourism dollars flowed through hotels, restaurants, attractions and more in our community. This spending supports more than 21,650 full-time equivalent jobs in Dane County. One-half of attendees combine attending a meeting with a vacation opportunity, resulting in additional room nights. Another half of attendees bring someone with them, multiplying overall spend. Three-quarters of attendees take advantage of destination offerings by &apos;getting out and about&apos;, with Gen Y Millennials leading the pack at 85 percent. Eight in 10 will recommend the destination, exhibition and/or event to others, if the experience is positive. Three-quarters of attendees will consider returning to the destination for leisure travel, if the experience is positive. In January 2015, Destination Analysts released its State of the American Traveler report, which showed America’s love affair with leisure travel remains strong, and expectations are that we will continue the pattern of stability seen in recent years. Read this report to learn more about spending statistics, technology trends and more. When we know where people visit--and why they visit--Destination Madison can begin to build on what we know and work to bring even greater economic impact to our area.